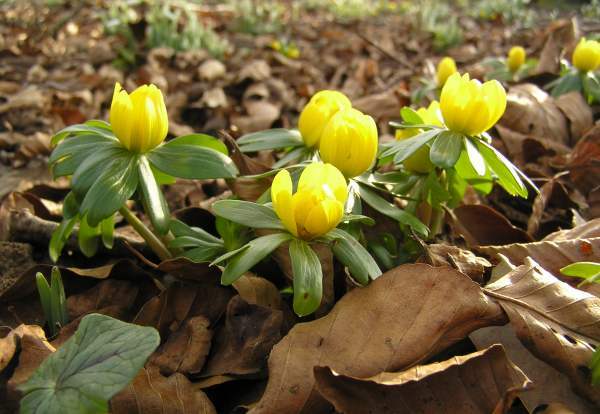 A popular garden plant, Winter Aconite has long been naturalised in Britain and Ireland. In the 'wild' this lovely wildflower favours calcareous soils and light deciduous woodland. 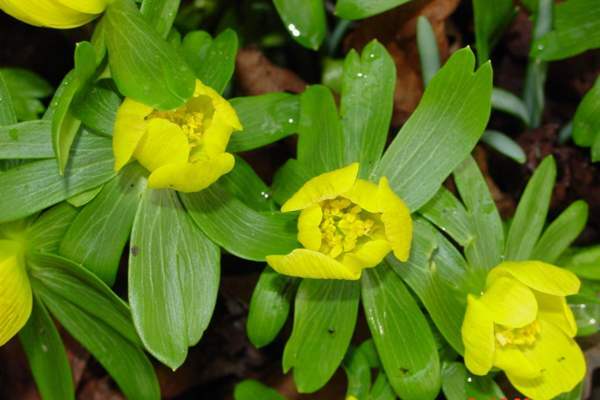 Winter Aconote produces cup-shaped, upward-facing yellow flowers on short stalks, often emerging from leaf litter. Flowers are typically 3cm across and each is subtended by a collar of leaf-like bracts. Eranthis hyemalis is one of the first flowers to bloom in early springtime, often appearing alongside snowdrops on woodland edges. 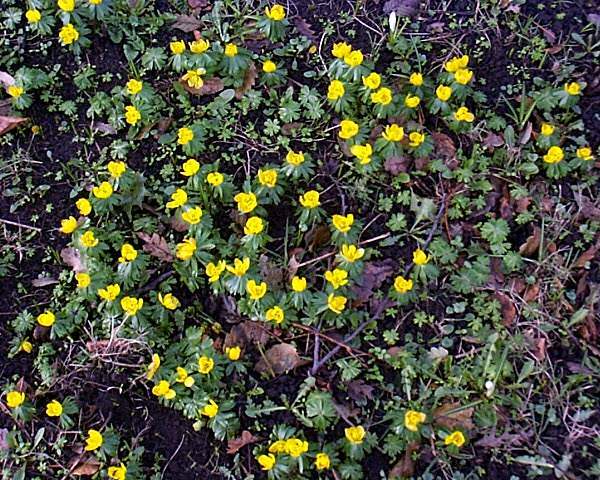 Winter Aconite is native to south-east Frace, Italy and the Balkans. The genus name Eranthis comes from the Greek Er meaning spring and anthis meaning flower. The specific epithet hyemalis means 'of winter'. The Winter Aconite specimens shown on this page were photographed in Surrey and in Carmarthenshire, UK.